One of the very first ranges to come out of the Hudson and Middleton in-house design studio and still to this day, one of the most popular best sellers. The deep intense colours and gold-plated edging is fit for any vintage tea party in a contemporary setting, country cottage kitchen table or manor house banquet. This delicate fine bone china range is edged in 22-carat gold and available in a choice of 6 stunningly colourful floral designs. 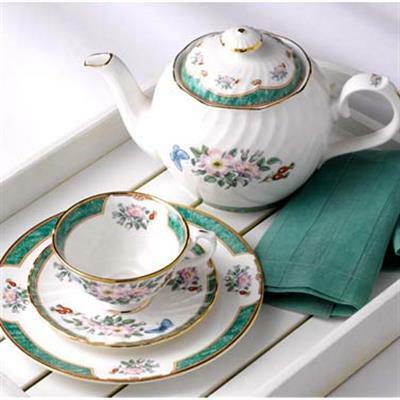 Traditional and perfect for serving the finest English tea, your individual set includes a mug, teapot, 8” plate, cream jig, footed cup and saucer, sugar bowl, thimble, clock and trinket box.